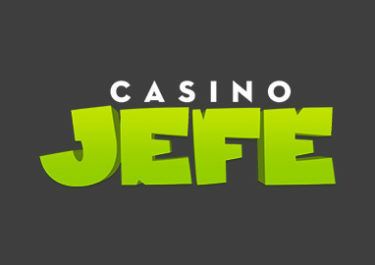 Casino Jefe – April 2018 Specials! 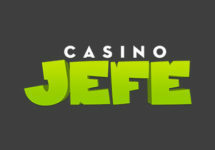 Claim extra Free Spins and Rewards! Welcome the sunny days of spring with special treats at Casino Jefe in April 2018. Throughout the month, players can collect Free Spins bounties on the new slot from Play’n GO as well as spins on the famous Jefe Wheel for extra rewards. These are just the common offers, keep an eye on your mailbox for more exciting personalized deals. Not to be missed! Make any deposit today and get instantly a 20 Free Spins bounty on the newest Play’n GO slot. Make any deposit today and get instantly a 20 Free Spins bounty on the Play’n GO slot. 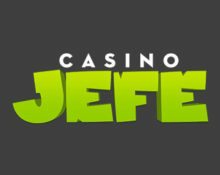 Note that at Casino Jefe winnings from Free or Super Spins are cash, no wagering requirements. Terms and Conditions apply, read them carefully. Launched in 2015, the casino is operated by LuckyDino Gaming Ltd. and holds a MGA license. Games offered are from Netent, Bally, Barcrest, Big Time Gaming, Leander Games, Microgaming, NextGen Gaming, NYX Interactive, Play’n GO, Pragmatic Play, WMS and Yggdrasil, however, no Live Casino. The site is only in English language and customer support is available daily via Email and Live Chat from 09:00 – 01:00 CET.